Rare later work from the lovely Ty Karim – a female soul singer who made some great 60s singles on the LA scene – then really surprised us when she reappeared for this massive club stepper at the start of the 80s! 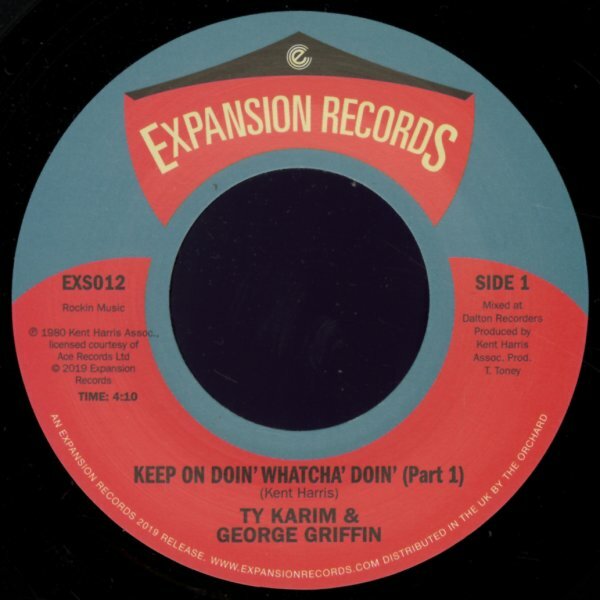 The tune's got a beat that's strong, but mellow – a bit around the pace of Gwen McCrae's "Funky Sensation" – handled here with a similar blend of funk, soul, and strings – and once it gets going, George Griffin comes into the mix – singing back and forth with Karim in a way that's like the Al Johnson duet with Jean Carn! © 1996-2019, Dusty Groove, Inc.